The complex garage doors and openers become simple to understand with the following answers to the most common questions asked by you. Garage doors can have many problems during their lifetime, from damaged tracks to worn out hinges. Visit our FAQ page below for answers to many of today’s most common garage door repair problems. When replacing my door’s sections, do I have to use new tracks and springs as well? 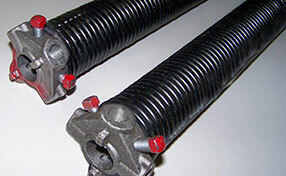 Garage Door Repair Mandarin specialists say yes, you have to use the track and springs that come with your new sections. This helps you avoid any installation problems and removes the risk of injury or damage. How do I troubleshoot the garage door clicker? Make sure that it is within range first. If it does not work, you should replace the batteries. Make sure that the electrical components inside are fine. Remove any rust or dirt from the contact plates. This is essential according to the professionals from garage door repair company in Mandarin. Should I add some windows to my garage door? If you decide to add some windows, then you must find out that your garage door will be naturally illuminated. In that event, you will not have to turn on any interior lights during day. However, for security purposes, you must buy high-quality windows which cannot be broken. How important is the R-value of garage doors? 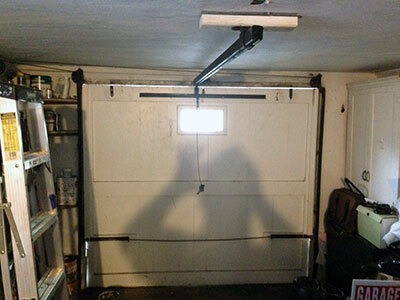 The R-value is the capacity of a particular material or object, in this case a garage door, to block the flow of warm air. Basically, it shows how effective the door is in providing insulation. The higher the R-value is the better. Any value between 3 and 10 is a good choice for areas with moderate climate. How do I know if my garage door is windproof? Make sure that your garage door is wind tested. This way, you won’t be left worrying every time there are strong winds. Our professionals will assist in finding the right wind-tested door in case you’d like to purchase one. How many parts are there in overhead garage doors? The truth is that overhead garage doors have the most parts of any other door type according to Garage Door Repair Mandarin . There are approximately three hundred parts if you include small and big components and that's why assembling overhead doors is not easy.